AbacasXchange solves a number of problems: // Typically, it takes a minimum of 3 and as many as 5 fees to trade one asset for another. In contrast, Abacas allows you to exchange AAPL stock for BTC in 1 transaction. // Both traditional and cryptocurrency exchanges have been known for “gaming” their clients by using system tweaks. In other words, there has been a lack of transparency. All transactions on AbacasXchange are posted on a public ledger and can be viewed by anyone. // Nowadays, trading is mostly binary. You can choose to receive only EUR or only USD or only something else in exchange for the stock you are selling. AbacasXchange improves liquidity by Direct and Indirect trading. If you want to sell 1000 GOOG, you can decide to receive some GLD or MSFT or BT or EUR or USD or ABCS or BTC. This creates an infinite coincidence of supply. // The AbacasXchange “safety deposit box” provides a decentralized secure backup for your private keys. AbacasXchange stands for fair financial markets and is ethical towards its investors. Crypto-exchanges are fraught with conflicts of interest as they fulfil the role of a matching engine, custodian, broker-dealer, market-maker [at times], settlement agent and order manager. Abacas acts solely as an operator and matching engine. Abacas has no conflicts of interest in its process. Subject to regulations, the AbacasXchange allows you to tokenize your own assets. For example, you can deposit an asset to custody, it is then tokenized and can be transferred on the AbacasXchange. 1. One Transaction - you exchange any asset in one transaction. This saves you 50% or more from fees. 2. Fully Transparent - all transactions are posted on a public ledger and can be viewed by anyone. 3. Liquidity Enhancement Direct & Indirect Trading - if you want to sell 1000 GOOG, you can decide to receive some GLD or MSFT or BT or EUR or USD or ABCS or BTC. This creates an infinite coincidence of supply. 4. Asset Security - no chance to lose your private keys. Why can't another currency or cryptocurrency be used as a native payment token? For example, USD or ETH. Imagine a typical transaction in which a client wishes to trade from a mosaic on XEM to an ERC20 token via the exchange. That single transaction may require 8 or 10 “partner chain” validations eg PoA (Proof of Asset), AML/KYC, Value Transfers, custodial validations, regulatory validations subject to asset class – each of these chains and suppliers may have a different pricing models based on their service or asset which means that a client would need to hold many 100s of currencies at any time. This is highly inefficient and impractical. The ABCS readily conveys between all of the chains mitigating the cost and nuisance of the micropayments as it relates to the activity in the AbacasXchange. The transaction itself happens as it would on any exchange – order management, price discovery, trade matching and confirmation. For the investor – the client examines the metadata of the asset in which he is considering investment and, based upon the risk profile, decides if this is the asset for him/her. 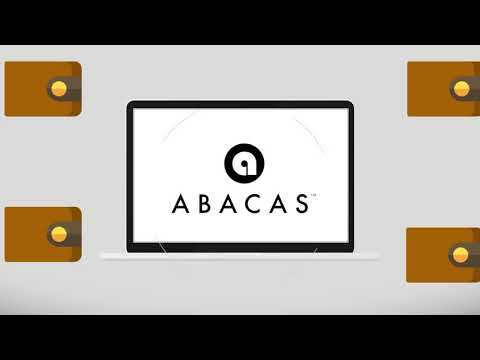 Abacas provides no investment opinion or advice. The asset to be purchased is exchanged simultaneously for an asset in the buyer’s wallet or account. This means that clearing and settling an internal trade takes seconds not days. With ABCS, two or more clients can exchange assets of any type in direct transactions; for example, a client can purchase “equity” directly using “gold” in a single transaction. Pre-Abacas, this process would take up to three transactions and up to two fund transfers, each incurring a fee. Where applicable, Abacas uses its partners to ensure that a relevant client transaction meets the regulatory and compliance requirements for the transaction to be consummated eg. AML/KYC, MiFID, PoA. When will the AbacasXchange be operational? The AbacasXchange will launch in Q1/2 2019. There will be an MVP soon. I am very intrigued by this project's idea of buying let's say Apple stock with a crypto token. Team, please walk us through the detailed steps of how the above is being executed on your exchange? Most willing to revise rating if team responds. PS. Even though KYC does not guarantee ICO success nor is a call for investment, the process verifies the key members of the founding team as a first key test. Please perform your KYC with Sum & Substance promptly. In my opinion, you should do the KYC check, the team appears to be decent, I don't see any advisors. I think the vision is ok, but your attempting to do way too many things at once. There are 8 Advisors and all of them are C-level people from relevant industries and companies. In total, the team + advisors have 100+ years experience in the financial industry. Not to mention that both founders have a proven track record. Mark and Vince have had their own successful financial companies. It seems like the team deserves a rating higher than 3, doesn't it? We envision a world where you can pay for any purchase using any asset in your wallet. Imagine making your next purchase with Gold, GOOG stock or EUR — whatever your vendor accepts and whatever you wish to use. We completely understand that this is a very ambitious vision. However, we are ready for the challenge. What is the low grade for the vision based on? security, liquidity, accessibility, cost reduction, STP and transparency. 2. For the regulator [where applicable], it solves exchange issues of gaming, conflict of interest, proof of identity, and preferential treatment.